For all types of paving needs from an asphalt and concrete conctractor, Bellevue has depended upon Ismael's Inc, LLC for over ten years and counting. We are concrete and asphalt specialists, and we know what it takes to create a pavement that will look spectacular and last for years to come. 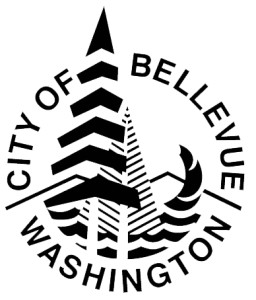 In Bellevue, concrete and asphalt pavements are exposed to some of the harshest weather conditions in the country. Their strength and durability are challenged daily. That's why it's so important to have them done correctly to begin with; otherwise, environmental conditions will quickly take their toll, causing premature deterioration and an unsightly appearance. Bellevue Concrete Contractors that bring quality and value. Our experience saves you money! Take concrete for example. When cement, stone (aggregate), sand and water combine to form a concrete mix, a unique process called "hydration" occurs in which the cement particles develop finger-like extensions that interlock with other nearby cement particles. These finger-like structures also bond with the sand and stone, increasing the overall strength of the resulting concrete. The amount of water in the cement mix determines how close these particles are together and thus affects the ultimate strength once the water is "pushed out" during the process of evaporation. However, environmental conditions can affect the action of the water within the mix, reducing the overall strength of the bond. For instance, an air temperature below 32 degrees will cause the water within the concrete to freeze while the mix is still in its plastic (unhardened) state. This can reduce the overall strength by as much as 50 percent. Further, conditions such as heat, wind, and sun can combine to cause premature evaporation of the surface layer of concrete before the lower portion has cured properly. If this occurs, cracks can occur that will adversely affect both the appearance and stability of a concrete driveway. Bellevue concrete and asphalt companies might claim that such cracks are commonplace and not detrimental to the structure, but at Ismael's we don't find such imperfections acceptable and, more importantly, we know how to prevent them from happening. It takes expertise and experience to recognize and adjust to environmental and other adverse conditions. We know how to work with Mother Nature so that, when Ismael's performs as either an asphalt or concrete contractors, Bellevue residents have a strong, durable pavement that will look great and stand up to the elements. No matter what the size of your project, the experts at Ismael's will make sure that you get the highest level of service using the best quality material. You'll end up with a pavement that you can be proud of for years to come! Take a look at our gallery of jobs we have done as a concrete contractors - Bellevue and other areas of Puget Sound. Call or email us at Ismael's Inc today to request your no cost quote for any concrete flat work including replacing your concrete driveway. Bellevue number one choice, call now!